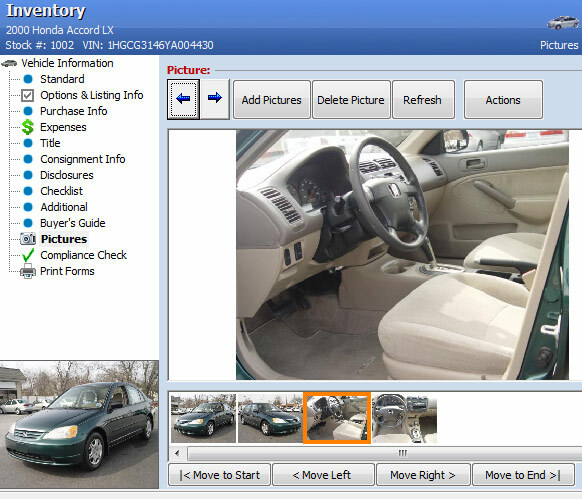 Dealer Solutions Software for Car Dealers: Used Car Dealerships use Dealer Solutions Software to management and marketing their inventory and deals! Starting at $149/mo! See Details! "The software is great; but the best part is the service! It doesn't matter what the problem is or what you don't understand, the team at KGI Solutions will solve your problem. Plus, they do it in friendly and courteous way. 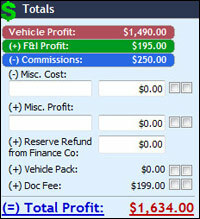 They never make you feel dumb"
Dealer Solutions Software has been successful in large part to an easy to use interface that often lacks in other software programs. 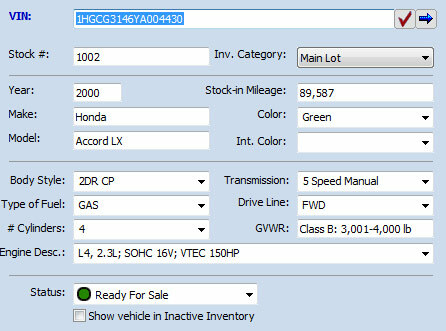 Whether you're wanting to take action on a particular vehicle in your inventory or simply wanting to see your bottom line on a deal the information is easy to navigate and easy to access. Printing a deal's worth of paperwork can be a nightmare if you don't have a reliable software system that can walk you straight through the process. 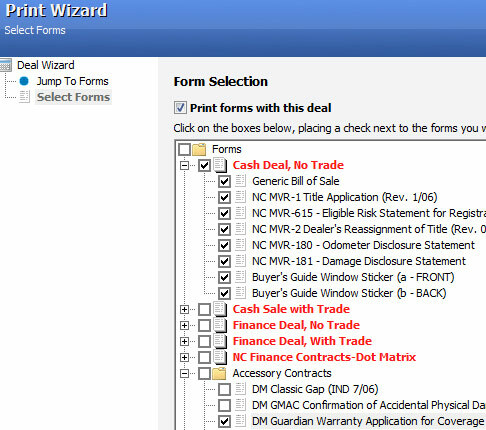 Create "Form Packs" that provide the paperwork needed for a specific deal. Whether it's a Cash Sale, No Trade or even a Credit Acceptance Deal you have the ability to customize your software to fit your needs. 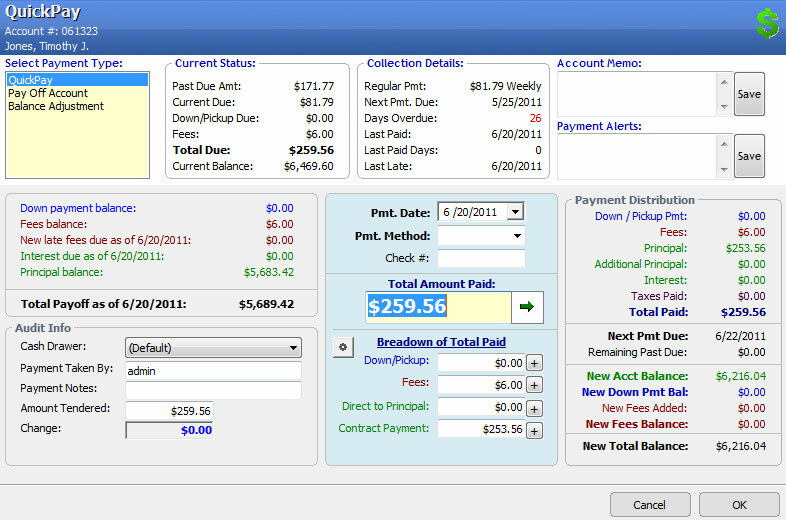 No other software provides the robust interface we do on our accounts screen. Track Buy Here, Pay Here accounts with the greatest of ease. 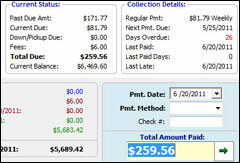 View accounts and collections from one screen with one click. Easily browse accounts, payment history, and account notes. You're in the business to make money so we made it easy to see where you stand on every deal. 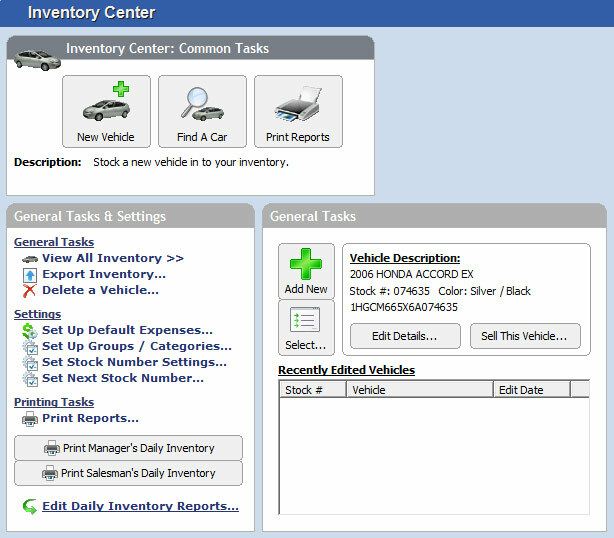 With washsheets and extensive reporting, Dealer Solutions provides fast and accurate information for you and your dealership. 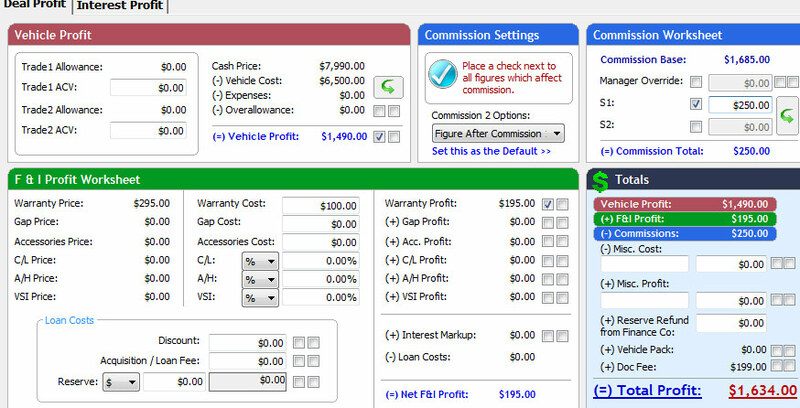 Our reporting system has been praised by many in the dealership profession and even car dealer accountants! Download your 14-Day Trial Now! We feel that people with direct experience with our software can provide the most credible evidence for why Dealer Solutions works for them and can work for you. The following software testimonials were unsolicited responses. Everything everyone else has said is true for us too. I've never been put off or disappointed by kgi customer service. Plus the added bonus that these guys bring some personality to the conversation! Calling customer service anywhere else makes me want to throw the phone in less than 3 seconds but these guys are a pleasure to work with. "...always Johnny on the spot with any problem." We used others, before Dealer Solutions, we really appreciate their style. They are always johnny on the spot with any problem. Great people to work with! A product for the most part is only as good as the people who back it. Dealer Solutions is an outstanding product with an outstanding support staff! "...the best tech support ever!" They have the best tech support ever! They always fix my problems every time I call! "They never make you feel dumb." The software is great; but the best part of the deal is the service! It doesn't matter what the problem is or what you don't understand, the team at KGI Solutions will solve your problem. Plus, they do it in friendly and courteous way. They never make you feel dumb. "...love this one the best by far." Thanks for all your help...we are very pleased with the software and how it helps us. 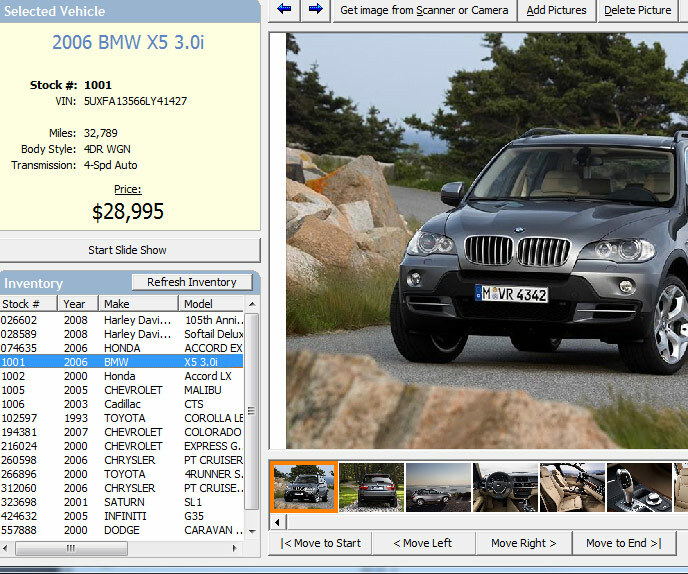 I have worked for several franchise dealers and have used every system there is and love this one the best by far. Thanks again! "This is the best deal of all checks I write for the month." 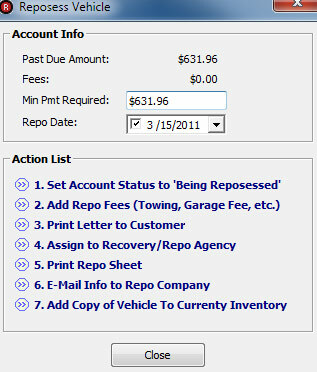 My name is Phillip Hawkins After running a large GM store for 30 years My two sons opened our own pre owned store .As you know we have to go to school with tons of laws and paper work to comply with .dealer solutions gave me a free trial software I could not believe what this system was able to do for us. In the large dealership we had Renolds & Renolds thousands a month!!! This system will do more at a fraction of cost. We just completed our first year in April with 513 retail units. Could not have done without it. Sales reports are great. Accounting is great. This is the best deal of all checks I write for the month. Please call me with any questions 803-593-5990 PHILLIP HAWKINS. ps .they paid me nothing to say this!!!!!!!!!!! VERY EASY TO LEARN EVEN WITHOUT HELP I STARTED SIX YEARS AGO AND LEARNED ON [MY] OWN. I HAVE TOLD SEVERAL PEOPLE IN THE USED CAR BUSINESS AND ACTUALLY HAVE A NEW CUSTOMER FOR YOU. HAVE ENJOYED WORKING WITH DON AND ALL STAFF. The guys at KGI/K3 are fantastic! Hands down the best support team I've seen. They are always there for you and fix most things the same phone call. "I would be lost without them..."
WE ALWAYS GET EXCELLENT SERVICE FROM DEALER SOLUTIONS. I'VE BEEN WITH THEM GOING ON 6 YEARS. I WOULD BE LOST WITHOUT THEM. THANKS FOR ALL THE HELP YOU GUYS HAVE HELPED WITH!!!!! "Not once have I ever had a complaint...[or]...seen a dealer change DMS providers after using their product." 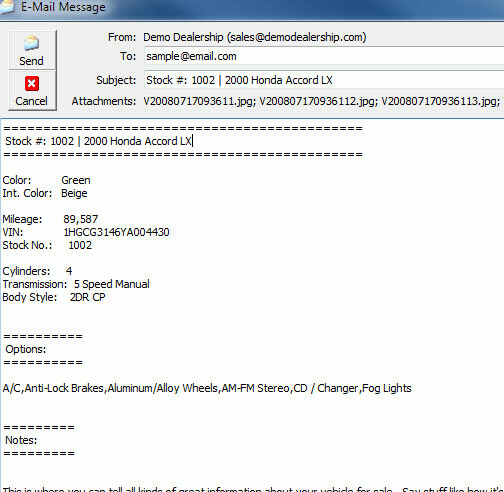 In nearly a dozen years I’ve seen pretty much every DMS program available to the independent dealer marketplace. 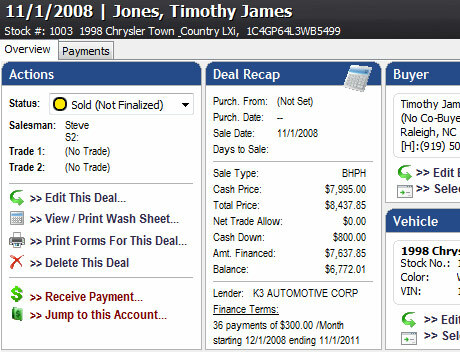 The Dealer Solutions product is unique in that it was created by an independent dealer, tested by independent dealers and was absolutely designed with the independent dealer in mind. The owners of the company make no promises they cannot keep, offer personalized customer service and clearly understand the compliance landscape. Not once have I ever had a complaint from their customers and have never seen a dealer change DMS providers after using their product. Great folks, easy to work with and without question exhibit the highest level of business integrity. Special Views, ex: "Cars w/o Titles"
Track "How You Found Us"
Create "Out the Door Price"
Plain Paper Simple Interest Contract! Track "Money in the Street"
We are located in North Carolina and have created a software that geared towards the Carolinas (NC and SC). Unfortunately due to time differences and state laws we do not support states like Florida, Texas, and California. + Does your software print all of my DMV forms, contracts, and paperwork? YES! 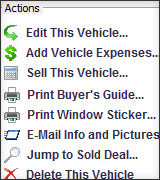 Dealer Solutions Software was first designed 12 years ago specifically to help dealers manage their paperwork. 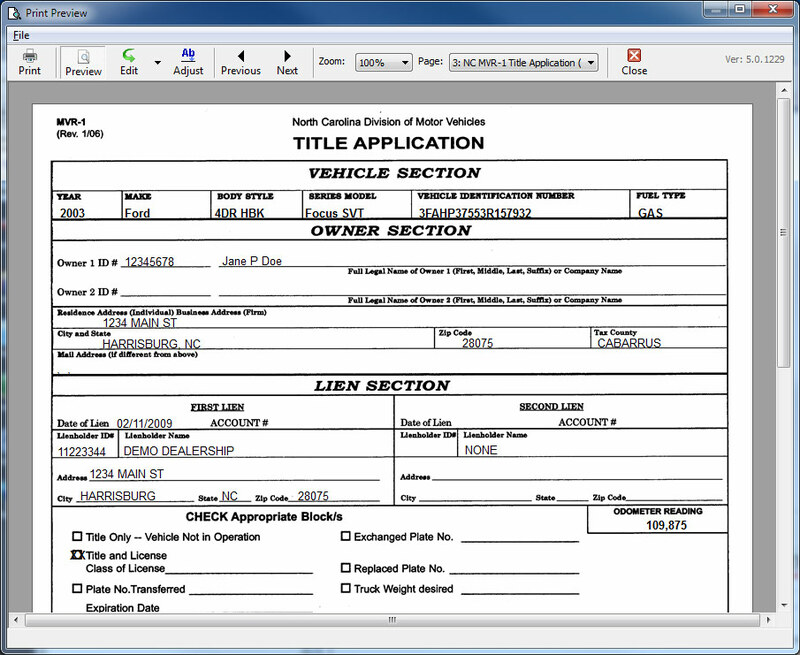 Ever since then Dealer Solutions has worked with finance companies, state DMVs, and local dealer associations to print forms and make it easy on you, the dealer. 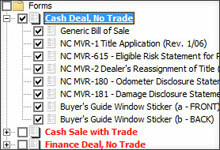 + There are other companies with software for different prices. What makes yours different? This question can be answered quickly in two parts. ONE: We have learned there is a difference between saying you do something and actually doing it. Speaking only for ourselves, when we say we integrate with QuickBooks or have an easy to use interface we back it up with a high quality product. Make sure you try out any software you intend to buy and test the features that are important to you! TWO: You are in the car business so you should know that two products can operate similar but vary in cost depending on the quality, details, and features of that product. A Lexus and a Kia both have four doors and engines but you know the difference is in the quality, performance, and overall experience. The bitterness of poor quality lingers far longer than the sweetness of low price.